With the price of gold having stagnated in the past year or so after a long bull run that began back in the early 2000s, it’s worth taking a little time to compare precious metals such as gold and silver with competing investments such as stocks and bonds. While there is no rule that says all three investment types can’t do well at the same time, understanding the differences between them can be important if you are considering diversifying your portfolio among several asset classes. Knowing the factors that drive the performance of each asset type in different market conditions can help you allocate your funds wisely. 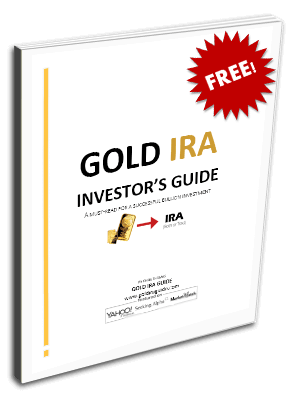 If you are considering opening a Gold IRA to place a portion of your portfolio in the yellow metal, comparing and contrasting the characteristics of precious metals in comparison to assets such as stocks and bonds certainly seems like a worthwhile endeavor. Individual stocks, like gold and other precious metals, can be highly volatile investments. Unlike fixed income investments such as bonds, both stocks and precious metals can see wide price swings driven by changing investor sentiment. The fundamental causes of price swings in gold and stocks are driven by similar but different factors. In a fiat currency regime, where national currencies are backed only by faith in the governments which sponsor them, the value of precious metals tends to be driven by investor perceptions related to the performance of its economy. If the economy is performing well, a government or central bank is often perceived as not needing to try to spur business activity via monetary creation, hence the chance of inflation arising is likely to be low. On the other hand, a poor economy may spark investor fears that the currency will be debased in an effort to stoke economic activity. In this case, precious metals are likely to do well given their historic role as stores of value in inflationary times. Stocks may also do well, at least for a time, if a central bank is in an accommodative mode due to a struggling economy, as the new money created by the central bank may find its way into the stock market. At the same time, with a weak economy, corporate profit margins may benefit as labor costs can be cut or held down due to a weak job market. However, if the economy continues to stay weak even in the face of central bank stimulation, there comes a time when the effect of weak sales growth overcomes the ability to cut costs, hurting profitability. Another danger in such scenarios for stocks is that continued monetary stimulation in the face of weak economic activity can lead to stagflation, in which rising prices and a slow economy deliver a double whammy to corporate profits. As a result, stocks have a clear advantage over gold mainly in times of strong economic activity and low inflation. One reason for this is that gold doesn’t pay a dividend or earnings to its owners, while stocks have the potential to do both of these things. However, given the tendency of precious metals to do well in inflationary times, the ability to pay dividends and earnings becomes less advantageous when their value is being eroded by inflation. Bonds generally have less upside potential than highly volatile investments such as stocks or precious metals. Their ability to pay consistent dividends with less volatility than stocks tends to make them popular with conservative investors who prefer to avoid excessively volatile investments. During strong economic times with little inflation bonds may also do well against precious metals, given the opportunity cost involved in holding an asset which pays no dividends. Bonds can also do well in times of weak economic activity with low inflation, as investors may prefer the security of a secured income stream over the volatility of stocks or gold. Of course, if economic activity becomes so weak that it threatens the solvency of the governments and corporations which issue bonds, the threat of default can erode the value of those bonds. In addition, when weak economic activity leads to currency debasement due to central bank intervention in the economy, the inflation which may ensue as a result can also be bad for bonds. This is because they are generally issued with a fixed interest rate which doesn’t reflect the loss of purchasing power due to inflation. In this regard, they may lose out to inflation hedges such as precious metals which tend to do well in such times.